Ours was pretty great, partly because we bought appliances for the flip last night and spent about $1,300 less than we had budgeted. Score!! We actually picked out the appliances a few weeks ago but waited until last night to purchase them – the salesman we’ve worked with over the past few years let us know that we could get an extra 10% off if we put off the purchase until Friends and Family Night, which just so happened to be last night. The 10% discount covered tax and then some, and we’ve found that it always pays to chat up the salesman because they’ll often give you little tips on when the store will be offering deals and discounts. 1. We got a slide-in range instead of double ovens and a stovetop (which is what the kitchen has now). Yup, the layout of this kitchen is changing. 2. We got a gas range even though the existing stovetop in the kitchen is electric (which totally bummed us out, BTW). That’s because we made an exciting discovery when meeting with the plumber the other day – the stove area is equipped with electricity and gas. Double woohoo to that one! 3. We didn’t buy a fridge or a microwave. In our market, it’s common for people to provide their own fridge so we felt like it would have been an unnecessary expense – and same thing with the microwave. We could always change our minds in the future, but that’s what we did with the last flip and everything worked out great. 4. We opted to go for a range hood rather than an over-the-range microwave like we have at our house. Simple reason for that – we just thought it would be fun to do a range hood and switch things up a bit from what we’re used to. We arranged for the appliances to be delivered in early November so that we don’t have to worry about storing them while the construction is being completed – I can’t wait to see how they look when they’re installed! So there’s your first peek into some of the changes that will be made to the kitchen! And while we’re on the subject of kitchen remodels, what’s one thing you would splurge on if you were remodeling your kitchen? Jason wants our dream kitchen to have a really fancy range, but I think an over-sized fridge/freezer might be on my list . . . what about you? UPDATE: Demo got pushed back and is now starting tomorrow. Boo! Oh well, these things are to be expected during renovations, right? The kitchen is going to turn out great! Can’t wait to see how you guys pull it all together! Question, where would a potential homeowner put the microwave? Samantha@yearofhomeandhealth´s last blog post post ..October 4th already! Great question! Since we’re doing new cabinetry (yup! ), we’ve planned a little below-the-counter space for the microwave. Out of sight but still easily accessible! It will look basically like what we did in the last flip, which you can see here if you scroll down – http://itsgreattobehome.net/2009/06/25/our-flip-progress/ – and here – http://itsgreattobehome.net/2009/08/05/our-flip-before-after/. I’m so looking forward to seeing your kitchen remodel, If I could splurge one item I faucet – I know sounds silly, but would love to have a bridge faucet…..such a timeless faucet! good planning! 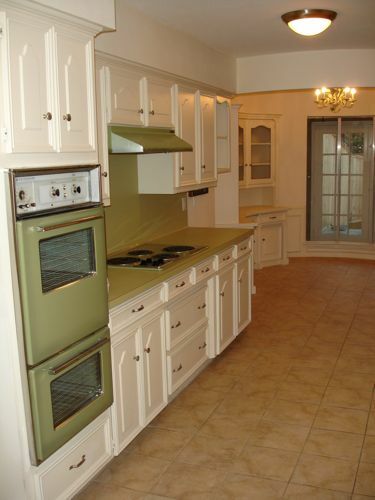 i love the look of the appliances as well… great job! Jealous! LOVE the wine fridge! Hmm if I were going to splurge I’m with you – an oversized fridge freezer, for sure. AND a wine fridge. And a bartender, if it’s my fantasy kitchen! And a chef! And a masseuse! Hehehe! Can’t wait to see your demo and after pix. Bummer about the delay, but hopefully it really WILL happen tomorrow! PS – my wetsuit arrived, and it fits! YAHOO! 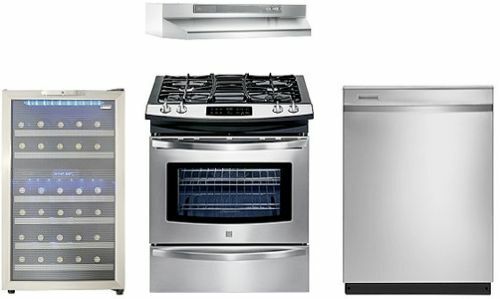 Great picks on appliances! Sears is a great place for appliances. I have also known people to get good deals at the Sears appliance outlet center. Have you ever made any purchases there? I’ve never tried out the outlet center because, to be completely honest, I hadn’t realized there was one! Thanks for passing on the info and I’ll be sure to check it out next time!